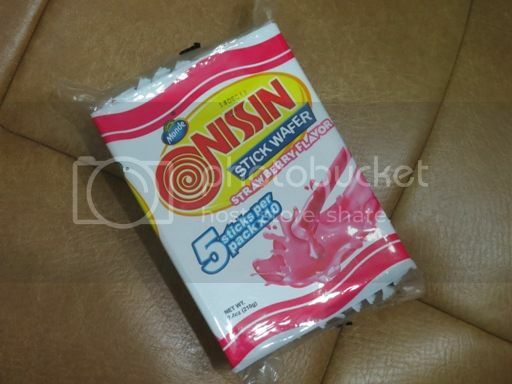 This is my little boy’s current favorite snack: Nissin Stick Wafer Strawberry Flavor by Monde. He discovered it a month ago while we were doing our weekly grocery shopping. He tried it, and he liked it! There are 10 packs of stick wafer inside, and each pack has 5 wafer sticks. 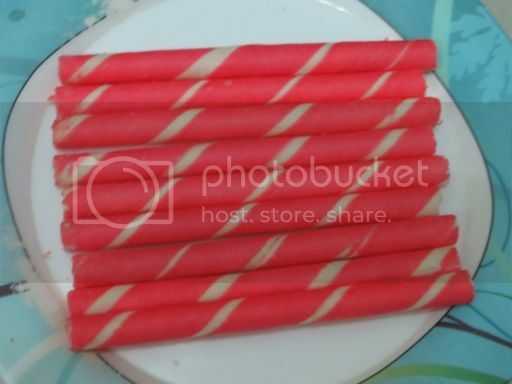 What my son really likes about it is the strawberry-flavored paste inside the stick wafer. When the wafer doesn’t have that, which happens sometimes, he doesn’t like eating the stick wafer anymore. If left uncontrolled, he would be able to finish more than 5 packs of Monde Nissin Stick Wafer Strawberry Flavor in one sitting, but of course, I wouldn’t allow that, because I’m also controlling his daily sugar intake. Do your kids like Monde Nissin Stick Wafer Strawberry Flavor, too? This entry was posted in Monde Nissin Stick Wafer Strawberry Flavor. Bookmark the permalink.